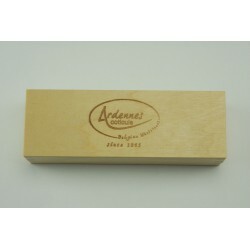 A natural yellow "select grade" coticule honing stone from Ardennes Coticule which is an ideal choice for anyone seeking a natural finishing stone. This high quality natural stone is very hard wearing and, with the right care, should last a lifetime. As such it represents a real investment for anyone with a serious interest in honing. This stone is approx. 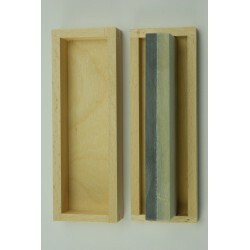 150 x 40 mm including a schist backing bonded to the coticule. 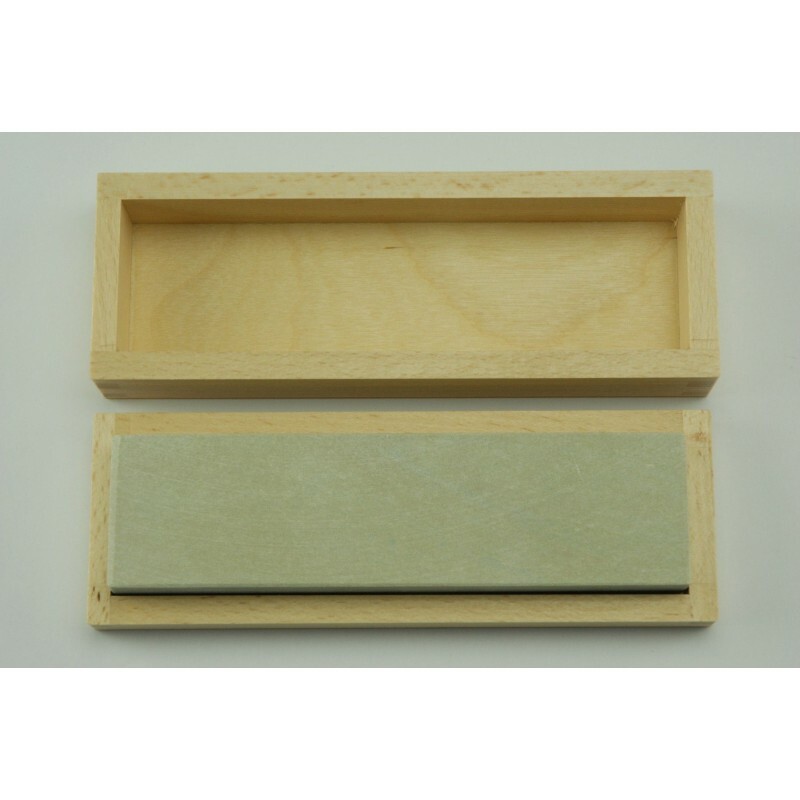 The stone is supplied in a tight fitting attractive beech box.